Sapphire Adizes recently released ballad “Birth” is just that, the birth of a new artist on the cusp of something really special. The first ever original single shows off a certain versatility for the upcoming songwriter and producer that hadn’t yet been hinted at in older remixes. “Birth” is a crossover tune that bounces back and forth into various sectors of music: pop, electronic, indie rock and even some others. Sapphire Adizes debut LP is due out sometime in 2019, so keep a tab on his socials for new music soon. In the meantime, enjoy this sensational single. Nestled right in the heart of New Orleans, BUKU Music + Art Project is a wildly unique festival experience. It has the culture of a boutique event, coupled with the organization and production of a large-scale event, topped off with a diverse and eclectic line-up. On top of all of that, it’s in one of the best cities for dining, partying, and history. Unlike other festivals, located in remote forests and deserts across the US, this is one event you can definitely plan a full trip around. We went down last year for the first time and couldn’t quite find the words for our experience. It’s culturally relevant, musically intriguing, brimming with top-notch art, and has a world of opportunities after the lights go off. It’s unlike anything else out there. With that being said, it should come as no surprise that we’re heading back down this year. As we’ve seen in years past, the lineup is artfully crafted, boasting a thoughtful collection of all sub genres of dance, a dash of Top 40, some killer hip hop artists, as well as guitar-heavy emo rock, with Mayday Parade and Dashboard Confessional. 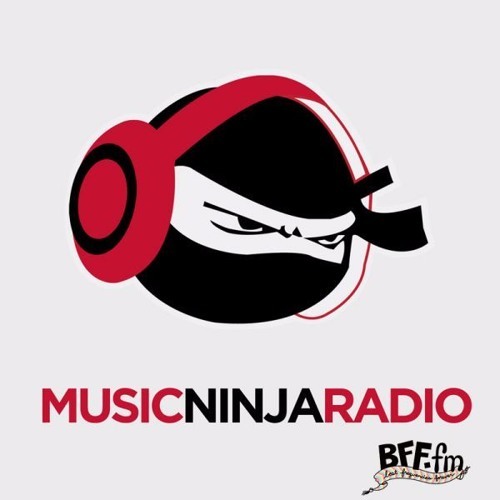 If you’re still on the fence, we recommend tuning in to Music Ninja Radio on BFF.FM this Friday from 4-7PM PST. We’ll be dedicating the first half of the show to everything BUKU. Brought to life by multi-instrumentalist Joshua Allen and drummer Mark Lomas, Various Blonde is Kansas City’s best kept secret. Cooked up in 2009, this outfit has taken on many forms, working with a revolving cast of musicians and producers. Most recently, the pair has teamed up with LA-based producer and bassist Brandon Eugene Owens, who has performed with acts like Stevie Wonder and Lauryn Hill. My first experience with “Smoke” brought up associations of one of my all-time favorites, Absofacto, another uber talented multi-instrumentalist. Personally, that was all I needed. From there, I spent more time with it, digging into the complex soundscape and subtle nuances. It’s a dark and cosmic ride, spun up with so many rich textures and layers. The heavy bassline, dark and haunting synths, quick-hitting hi-hats, and Allen’s alluring vocals, all come together to create an enveloping experience. Have a listen below, and then head over to Various Blonde’s channels and support. Facebook | Soundcloud | Spotify. Hot damn. Within a few seconds of “Sober,” I was hooked. The smooth bassline, the cool-as-James-Dean vocals, and the funky lo-fi synths create an undeniably addicting soundscape. “We don’t follow any specific recipe approaching each track. It all evolves from a hive mind of ideas and refining them into the mood we’re feeling. ‘SOBER’ came about quite quickly. Pretty much within a day of writing the basis of the songwas done, and we then started doing our thing on the production which is often when we like to take our time focusing on the smaller details. As Tyler likes to say “The ‘d’ in daste. stands for detail. This is just the second release from this brand-spanking-new act, and what a doozy. We’ll high-key have it on repeat until we get the next sampling. Hopefully, that happens sooner than later. In the meantime, make sure to follow these guys on Facebook, so you can keep up. The new year brought a fair amount of change for Manila Killa (Chris Gavino), as he embarked on his first year as a solo artist. Aside from a shift in his career path, he’s also showcasing a glimpse at a shift in his musical style. Maybe this is the true Chris? Whatever it is, we’re all about it. 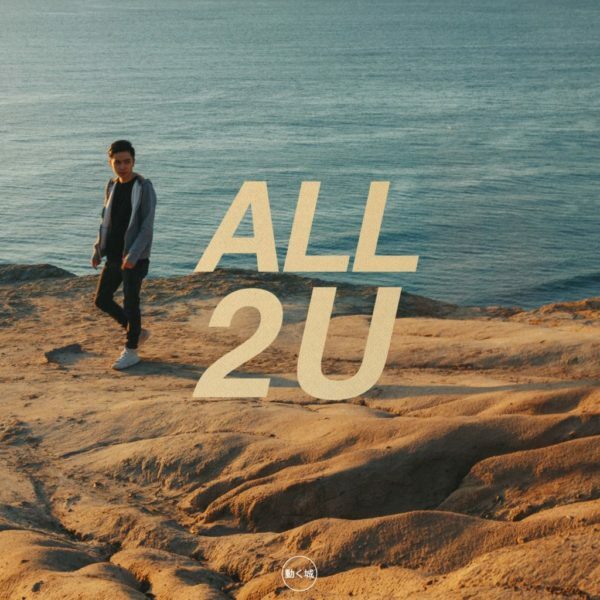 “All 2 U,” which features Sara Skinner, is the last single from his upcoming EP. A through-and-through pop gem, this track exudes pure authenticity. It’s catchy as hell, not overdone, and extremely well put together, complete with organic guitars, playful percussion, and approachable vocals. Simply put–you won’t be hard-pressed to put this one on repeat. If you’d like to catch this tune live, make sure to pick up tickets to the 1993 tour, which makes 11 stops across April and May. 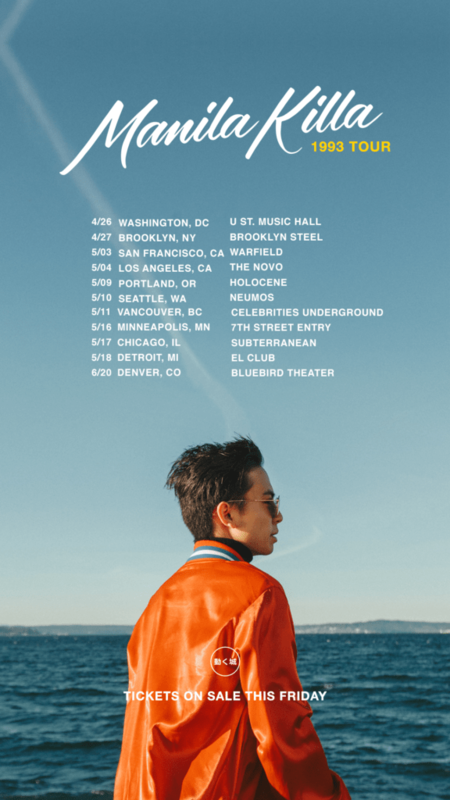 Tour dates are posted below, for your convenience.